When will be Little Weddings next episode air date? Is Little Weddings renewed or cancelled? Where to countdown Little Weddings air dates? Is Little Weddings worth watching? Lifetime's "little" premieres continue in November with the special limited docuseries, Little Weddings starting Wednesday, November 23 at 9pm ET/PT. Airing for three weeks, Little Weddings follows the McInturff Family who run Sassy Bash Events, a full service events company specializing in creating magical moments for little people in love. The big stress of planning "Little Weddings" is no match for Sassy Bash Events owner Kelly and her siblings Kacy, TJ and Kensey. They bend over backwards to ensure nuptials go off without a hitch for their little clients, even when emotions run high as they balance the everyday challenges of being little and the inevitable power struggles that come when working with family. Little people weddings pose their own unique challenges and there's no team better to give couples the best big day ever, but can they make it to the altar without big drama?Little Weddings is produced by Critical Content and Tom Forman ("Catfish"), Oliver Bogner ("My Five Wives"), Jonathan Bogner ("Kim of Queens"), Brad Bishop ("Car Matchmaker"), Jon Beyer ("Great Food Truck Race"), Jen Morton ("Don't Be Tardy") serve as executive producers along with Lifetime's Mary Donahue, Mariana Flynn and Noah Moskin. Kelly and TJ meet with a couple who would like their wedding to take place a bowling alley; Kelly envisions an automobile museum as a more upscale site for the special day; the family deals with communication issues. The siblings call a much-needed business meeting; Kelly and Kensey meet with a couple who are looking for a beach-style wedding; the family is challenged with trusting one another during a team-building day at a ropes course. Kelly must plan the perfect wedding for her brother T.J. and his fiancée, Jamie; when T.J. adds 50 extra guests two weeks before the wedding, the rental vendor drops out; Kelly races to make her brother's special day a success. 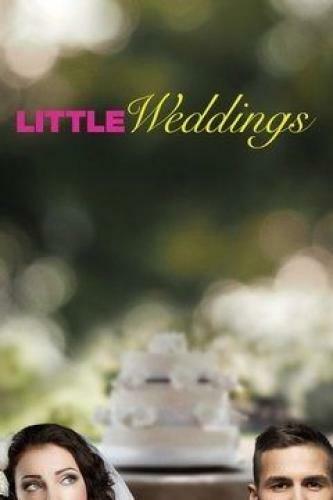 Little Weddings next episode air date provides TVMaze for you. EpisoDate.com is your TV show guide to Countdown Little Weddings Episode Air Dates and to stay in touch with Little Weddings next episode Air Date and your others favorite TV Shows. Add the shows you like to a "Watchlist" and let the site take it from there.